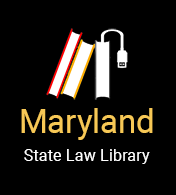 MVLS provides pro bono legal services to individuals in every Maryland county, except Montgomery, Prince George’s, Allegany counties, and the eastern shore counties of Queen Anne’s, Talbot, Dorchester, Kent and Caroline. These jurisdictions have local pro bono agencies. MVLS, however, will handle a few specialized matters in these jurisdictions including tax disputes with the IRS, school suspensions, long term care Medicaid benefits and legal assistance for nonprofit organizations. MLSC, IRS (for income tax issues only), and higher limits for foreclosure program. See https://mvlslaw.org/get-legal-help/do-i-qualify/. MVLS is the largest pro bono legal services provider in the state both in terms of volunteers, over 1,600 lawyers on its panel, and clients served, more than 75,000 since our founding in 1981. Our core pro bono program expands the capacity of Maryland’s overburdened legal services delivery system which can serve only 20% of low-income clients in need of civil legal services. MVLS volunteers help approximately 3,000 low-income Marylanders every year. Learn more with the MVLS program descriptions below.